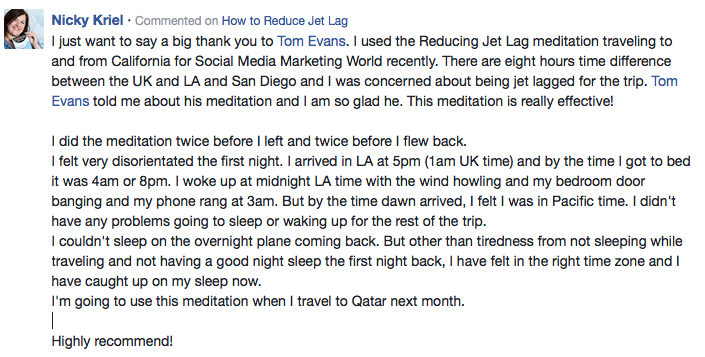 Leaving soon on a jet plane? 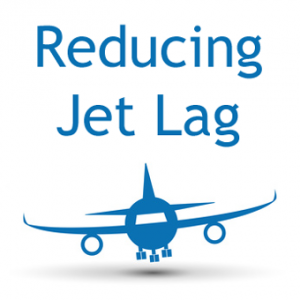 This visualisation uses a simple and safe astral travelling technique to help reduce the effects of jet lag. The way it works is this. Our earthly bodies are comprised of two components. What we think of as of physical body is referred to as the Gross Body – it contains all the physical matter that we are made from. Attached to the physical body is a more etheric component referred to as the Subtle Body. The Subtle Body comprises of various layers, some of which are detachable. As we go about our waking days, the Gross and Subtle Bodies mostly remain attached and together. When we sleep, aspects of the Subtle Body are prone to wander. When we awaken, it can take some time for them to merge again. This innovative visualisation makes use of this aspect of our being to help us get into a new time zone ahead of physically travelling there with our Gross Body. By sending an aspect of our Subtle Body on ahead, when we do arrive physically, it makes the transition to the new time zone much smoother.